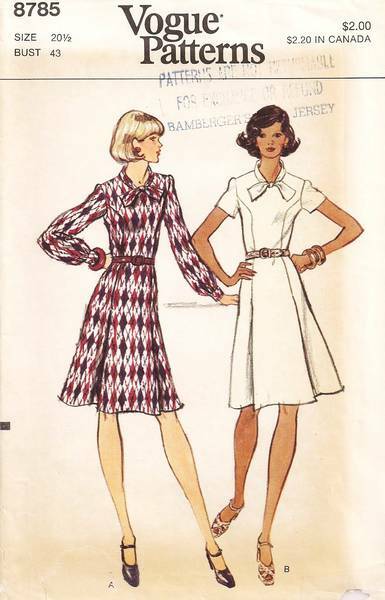 Semi-fitted, mid-knee length dress has princess seaming with side front pleats, round neckline with bias turn over collar extending into tie ends, and short sleeves or full length sleeves gathered into buttoned cuffs. Purchased belts hold in fullness at waistline. Size 20.5; Bust 43; Waist 37.5; Hip 45.5. Uncut, complete, in factory folds. Envelope has some aging; tape mend to edge.